So I know what I want to be when I'm older.... anything but a vehicle artist. This project feels like one big ball of *kill me now*. But even so, some progress has to be made. My original plan of have the high and low polys finished and baked by the end of the week is starting to look like a fantasy. 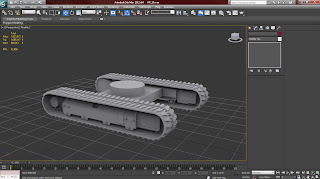 But I should be easily unto texturing start of next week and no matter what the vehicle will be finished by the time James comes back, I will not have nothing to show him again. But enough of the ranting (it's never enough...) So I finally finished the chassis today. I never want to see tracks again. But it's come out a fair bit better than I had anticipated. So now that's finished I've got the chassis, main body (which requires some tweaking and refining) and about 70-80% of the arm done. Once I get this damned arm finished, which will probably be done tomorrow if I actually sit down and focus. After that is just tweaking the main body and then building the inside. 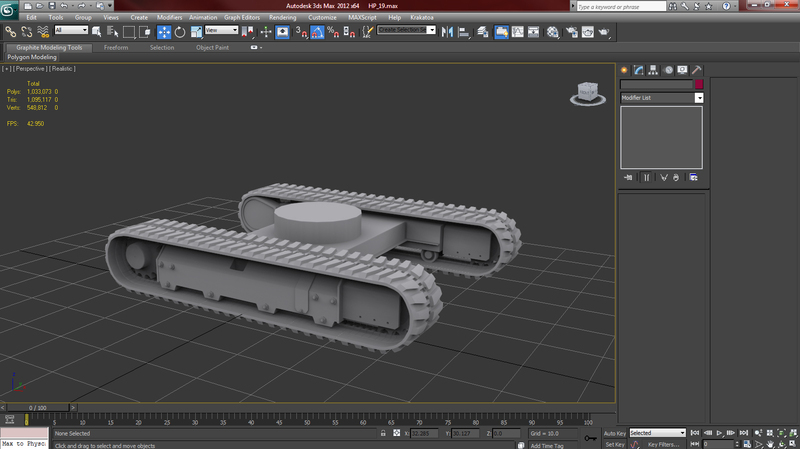 Then I should be finished with the high poly. I wish it wouldn't have taken me so long but what can you do other than go back in time and tell past me never to do an excavator.